I have been glued to my mobile phone since I first got one 21 years ago. I have owned A LOT of phones since my first. About one a year – sometimes more. Never once have I broken any of them, hardly even scratched it. 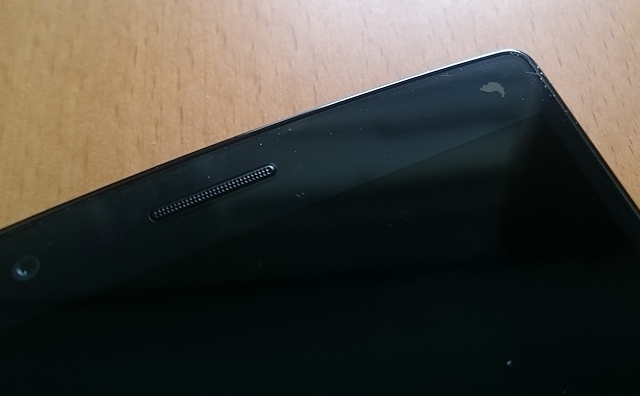 So the day my Sony Xperia Z3 dropped to the ground and broke the screen at first I could not believe it… And it even happened when I was away on a weekend trip just days before I was to go for another holiday abroad. Good timing! So I had to get a new phone in a hurry. If you know me, you know I am not very sad about the idea of getting a new phone (just the money bit makes me a little sad 😉 ). I went to the local electronics store where I was and after some considering, I went home with an LG G4. It was too boring to just get another Z3, even if I liked it very much. 2015’s new phones had arrived and I have read a lot about the LG phones which have had some impressive specs when they launch year after year. And the camera in this one seemed like a winner. Also the Samsung S6 series doesnt support SD cards, which made me a bit reluctant about them. I was very happy with the G4 for about four weeks… when disaster (a little one) striked again…. 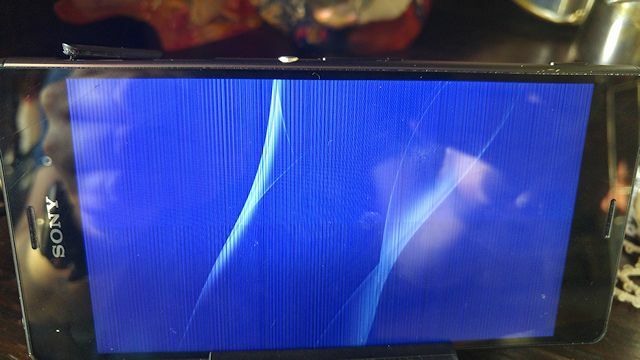 No, I did not drop it this time, but suddenly some of the paint on the inside of the front screen fell off.. Very strange! I went to my local store of the electronics chain I got the phone from and they immediately took it inn for service. So.. I had to get another phone while I was waiting, wasnt I? 😉 This time I got very tempted by a good deal on a Samsung S6 edge (green). The phone I actually wanted when I bought the G4. But decided against it because of the fixed iPhoneish storage sizes that are for some reason not expandable with SD cards. (Why!??) Anyways, I got the 64GB edition which should be sufficient for a while at least. I like to keep all my pictures and music with me… I really liked it! The edged glass and the metal build is the best I have ever experienced in a phone. I must say Samsung really nailed the design this time! The edges makes my brain think the phone is only a couple of mm’s thick and even with the tiny edge I think the phone is easy to hold. Report back from the service for the LG, they very conveniantly claimes it was…(drums)… water damage! So apparantly, the LG is not a phone that can be used with regular workouts with my phone in the usual place on my arm (as other phones seems to cope well with). Time to decide which one to keep then! And also a wrap for this post. I kept the Samsung! The big high res screen on the LG had a better use of the high pixel density than the slighly smaller Samsung screen. You could really tell it was high resolution! And I think the contrast was a little bit better as well. The G4 had expandable storage with SD card, impressive camera with handy manual control and a nice price. I still miss it a little bit! But the Samsung S6 edge really hit it this year. I am so impressed by the build and how the phone feels in my hand that I am unable to part with it. Screen is really really good when its not sitting next to the LG G4. And the camera is maybe just a thad better than the G4, but both of them are really really good for phone cameras. I hate the home button though. 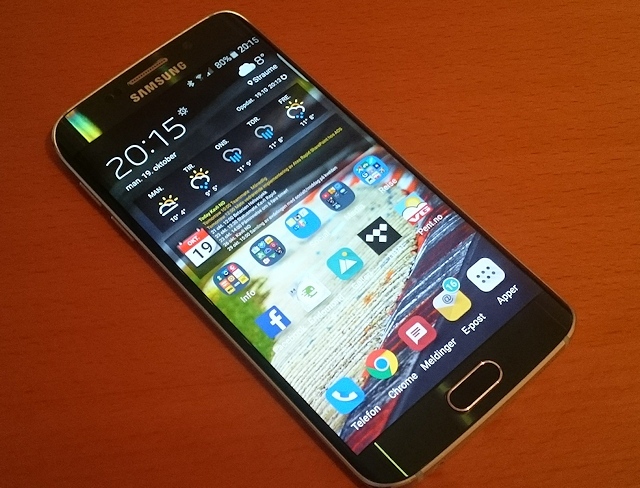 Fingerprint sensor is nice, but I prefer a stock Android software button as on Z3 and G4 over the hardware button. Finding original accessories for the G4 was also hard. If not impossible. But Samsung is easy. I picked up an wireless charging pad and the version 2 of the clear view cover (version 1 scratches the screen!). The clear view cover looks awesome on pictures, but the quality of it does not match the price. I’m not a fan of any covers and very much not so on a phone which is built from so great materials. Whats the point if you just put it in a “cheap” cover, right? (this one not so cheap in price) But there are times when a cover is handy so I like to have one available for those occations. Till next time. Will type some words about my new headset. PS. 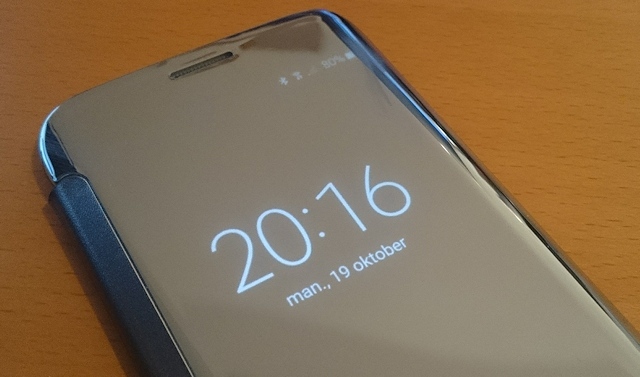 I replaced the screen of the Z3 and it now works fine again. Allthough not very water proof if I am to believe the pressure sensor.